As Production Manager at Roush Yates Engines, Doug Hess is responsible for creating and maintaining the build and delivery schedules for the NASCAR Sprint Cup Series, Xfinity Series and Camping World Truck Series race and test engines. Hess provides direction and oversight to the assembly build process used to create the purpose built Ford FR9 EFI V8 and Ford FR9 Carb V8 race engines. Working in tandem with various departments within the organization to ensure critical timing, processes and delivery schedules are met. Starting his career with the Robert Yates Racing organization in 1999, as a member of the teardown department, Hess transitioned with the growth of the company when Roush Yates Engines opened their doors in 2004. 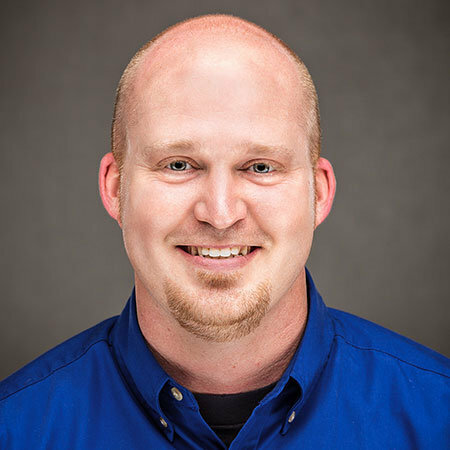 Over the past 17 years he has worked in various departments throughout the organization; from engine teardown and dress, to engine sub assembly, development and final assembly, before accepting his current role as Production Manager in 2008. When he’s not at work, he likes to spend time with family and friends.